Meteor JS: Why Does the Meteor Framework Break the Mold? If you've arrived at this page, you likely have heard about Meteor js and are wondering what it's all about (or you have already done your research and know you want it. In which case, let's get started!). 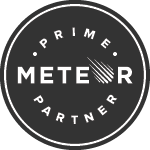 Our team has developed nearly 500,000 lines of code for Meteor apps spanning multiple verticals, including healthcare, retail operations/fulfillment, social media, theme park automation, and enterprise resource planning (ERP) applications. For a free demo of Meteor JS in action, give us a shout. We're happy to share our excitement and passion for Meteor Website Development. Truth be told, it's becoming more and more the case that Meteor projects are the most fun, exciting and interesting projects we've done in a long time - which is beyond cool. Project Ricochet launches Pushpin Planner, a full production meteor resource planning software app! Project Ricochet co-founder gives a lightning talk at Meteor HQ about improving the performance of your Meteor applications. The meteor-canonical package will forward to whatever url you want - in particular, to www. [yoursite].com if someone visits just [yoursite].com. This is important for your SEO because you don't want your site/content being found at both www and non-www. Meteor.com - A great place to start. How they scored meteor.com will involve a beer or two and some time. Meteor's API Reference - See what Meteor is capable of by reviewing the API.